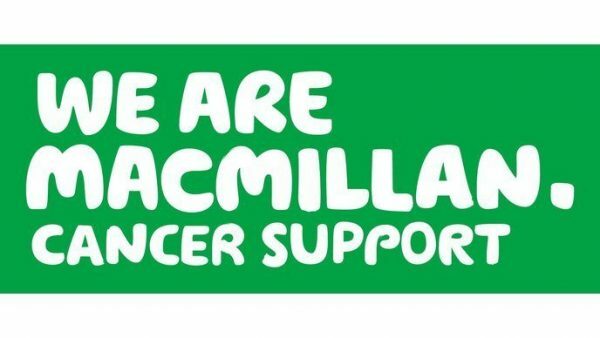 Letham Primary will be holding a Macmillan Coffee Morning on Friday 28th September at 9.15am in the village hall. Donations of cake and candy for this event would be very welcome to help raise funds. 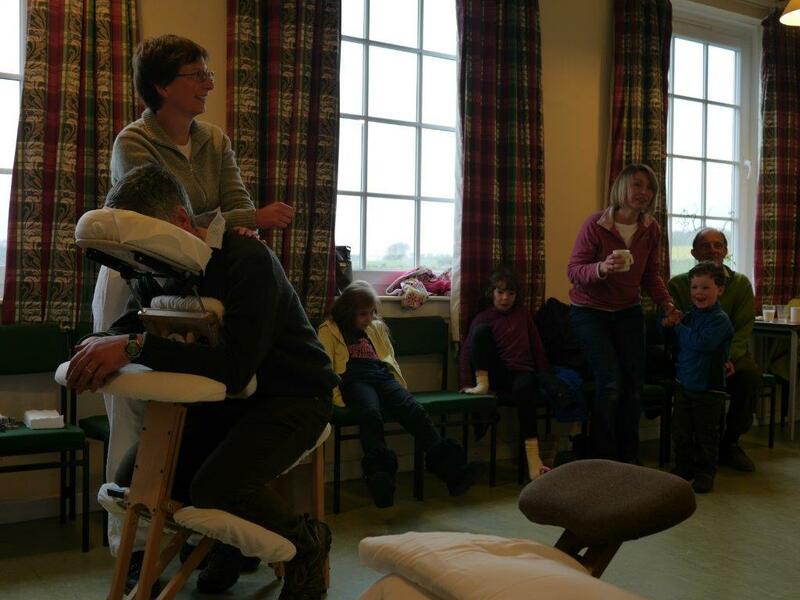 As you know, we have achieved extensive improvements to the Village Hall over the last three years. We thank everyone in the community for their continuing support of events that happen every week, month and year. The Hall Committee is now planning further improvements to the ladies toilets, replacing the curtains and ambitiously to install a sound system and eventually to look for a new kitchen. These improvements will draw further on funds which have already been depleted by contributing to the costs of replacement windows and boilers, rewiring, insulation, replacement of the gents toilets etc. You may help easily by supporting this auction event by being there on the evening and by providing items to be auctioned or making a “promise(s)” of your time or something you have made. A promise(s) can be anything from baking to a zen massage, or gardening to a ukulele lesson. 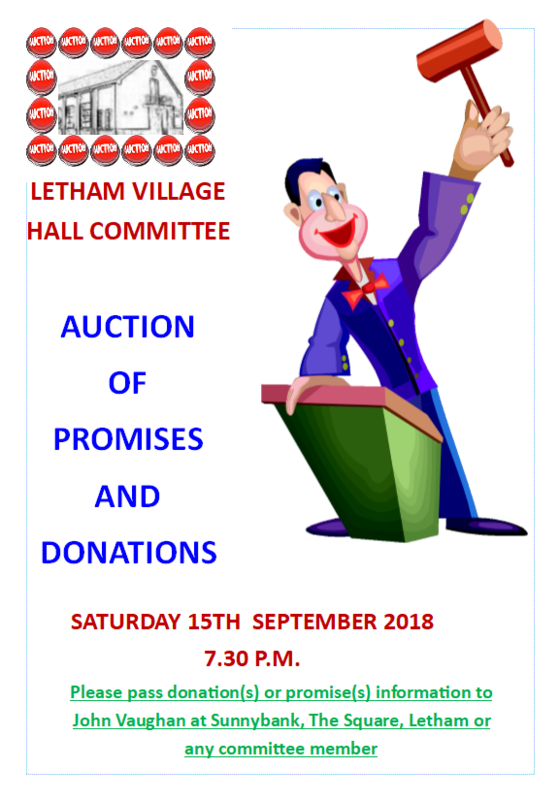 Please complete the attached document stating what item you will donate or the “promise(s) you will undertake, and post it in the letter box at Sunnybank, The Square, Letham. Auction items will be collected near to the event time as required. The latest exciting new venture Letham Lights is launching this summer. A community based cinema that will bring the community together to watch films in a fun and different way. 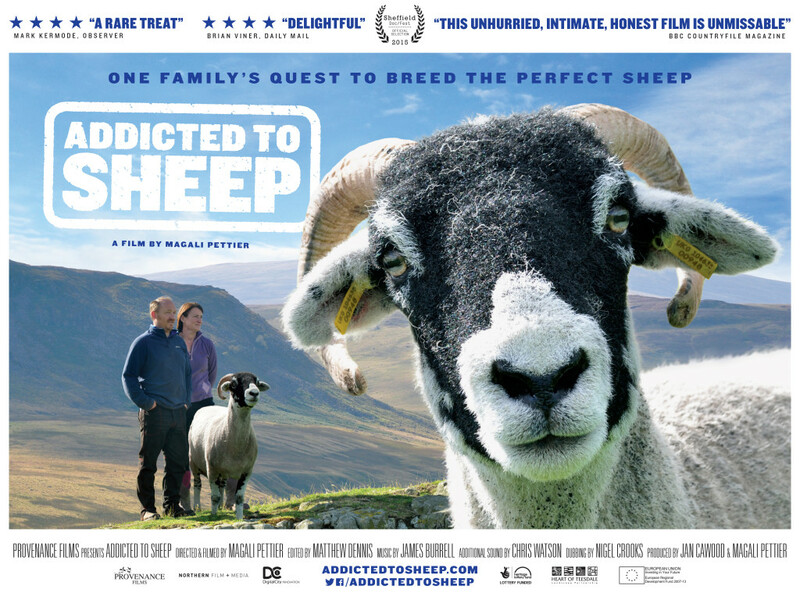 The first screening is on Sunday 21st August 2016 at 3pm in the Village Hall. 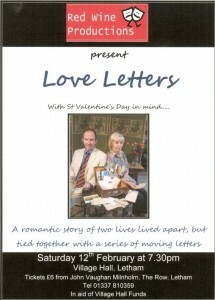 See the lethamlights website for ticketing details. Please come along and support this new project. 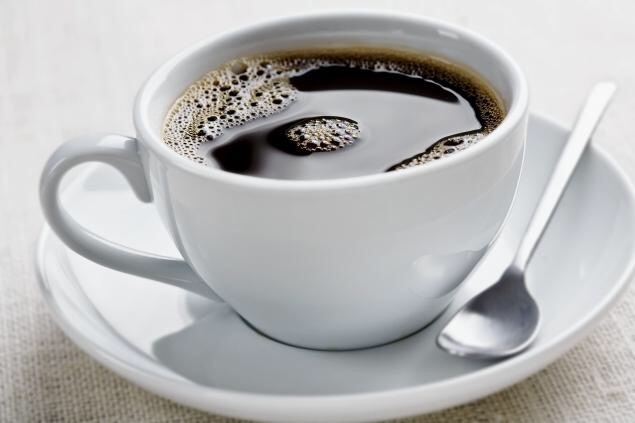 It is the second Saturday in September tomorrow, so that means it is the start of Coffee Morning Season at Letham Village Hall. They will take place on the second Saturday of every month throughout the winter. We will be serving coffee, tea, juice, biscuits and pancakes with the usual stalls and raffles (we are open to suggestions for alternatives!). Please come if you are able – the small amounts raised each month help pay the winter fuel bills. 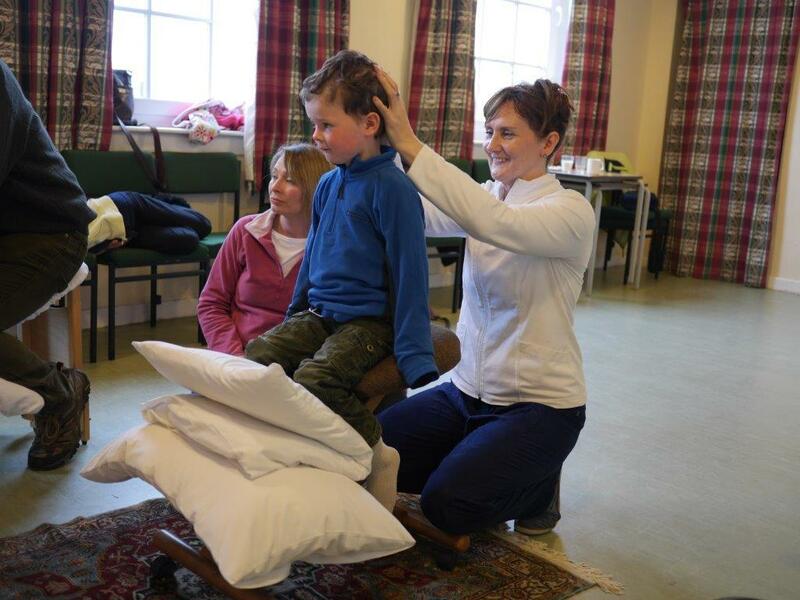 Residents of all ages benefited form a massage at Letham Village Hall yesterday (Sunday 3rd May) as part of the fundraising campaign to raise funds for the community defibrillator. 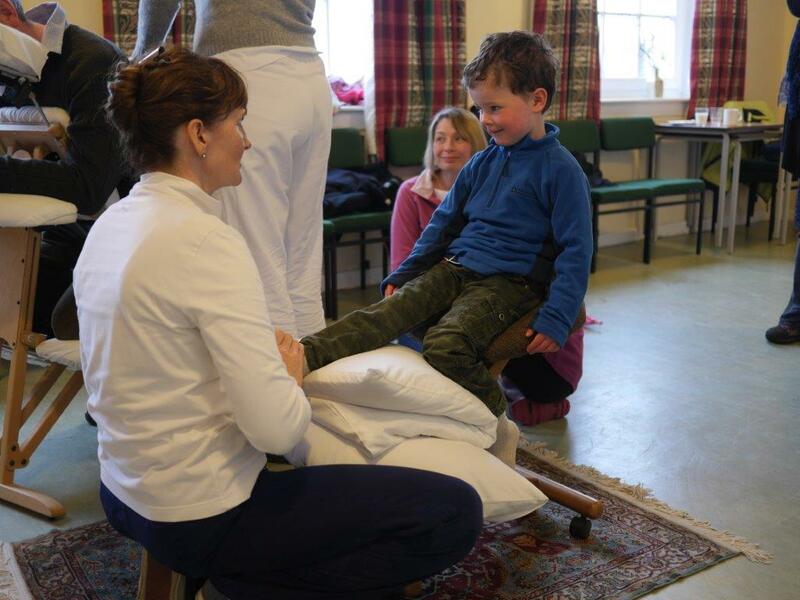 Marie Lamont, a local Shiatsu Practitioner and a colleague were releiving tensions with a 15 minute massage for charity. 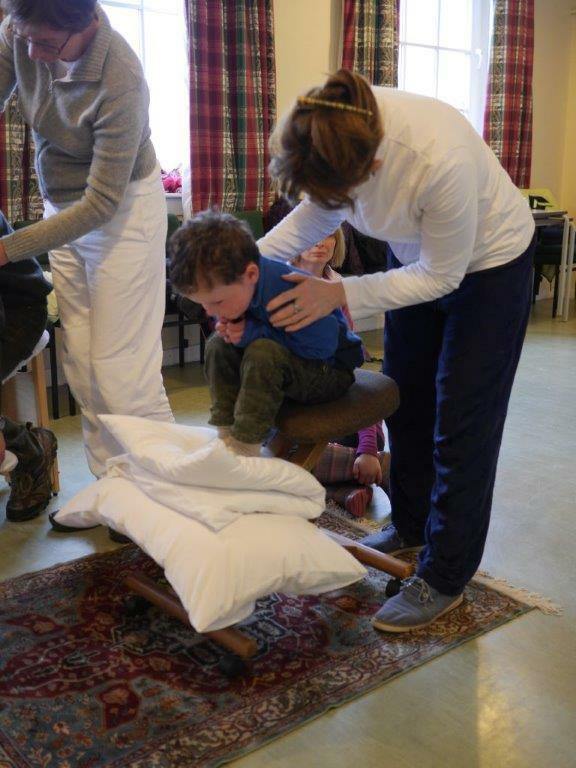 The event raised a fantastic £220 for fund. On Yer bike and have a coffee! check the operation of brakes and gears and make minor adjustments. 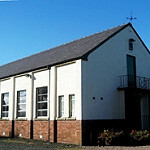 A craft fair will be held in Letham Village Hall on Saturday, 24 September 2011 from 10.00am. – 3.00pm., proceeds in aid of hall funds. Entry fee is £1.00 and tea and coffee, or a soup and sandwich lunch will be available. Any craftsfolk interested in renting a table, at a cost of £15 per table, should contact Juliet Gordon on 01337 810298. Following the success of last years Alan Bennet evening John Vaughan has arranged for Red Wine Productions to make a return visit. This time it will be getting a bit more romantic for a valentines evening. At the last event all who attended enjoyed staying behind for a chat after the performance and hope this time round things will be no different. See below tickets and more information. All proceeds will go towards helping the Village Hall invest in improvements that will cut its energy use and bills.